Kevin H Millon is an Attorney and Partner of Millon & Peskin, Ltd. 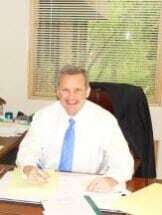 He has been representing injured workers in Workers Compensation claims since his graduation from law school in 1984. In addition to his efforts to protect the rights of insured workers, Mr. Millon is also very active in local and state Bar Associations. He has served on the Illinois Bar Association Assembly and has been on the Board of Directors and served as President of the DuPage County Bar Association. He is dedicated to the practice of law and the protection of injured Illinois workers' rights. Kevin Millon received his undergraduate degree from the University of Illinois in 1981 and his Juris Doctorate degree from the John Marshall Law School in 1984. He was admitted to practice law in the State of Illinois in 1984. Kevin was working on Workers' Compensation cases since he was a clerk for a law firm during law school. Since being admitted to practice law, he has devoted his practice to representing injured workers. Kevin has been a member of many law related organizations including the Illinois State Bar Association, The Illinois Workers' Compensation Lawyers Association and the DuPage County Bar Association. He was elected President of the DuPage County Bar Association for the 2003-2004 term and enjoys an excellent reputation as one of the premiere Workers Compensation attorneys in the area.